This project has been in the works for some time now, the better part of a year. Earlier this year the single Tamba was dropped to critical acclaim. Release dates for this project have been moved on four occasions (but who’s counting?) but finally it’s out now. With production from a handful of producers was Trapped worth the looooooong wait? 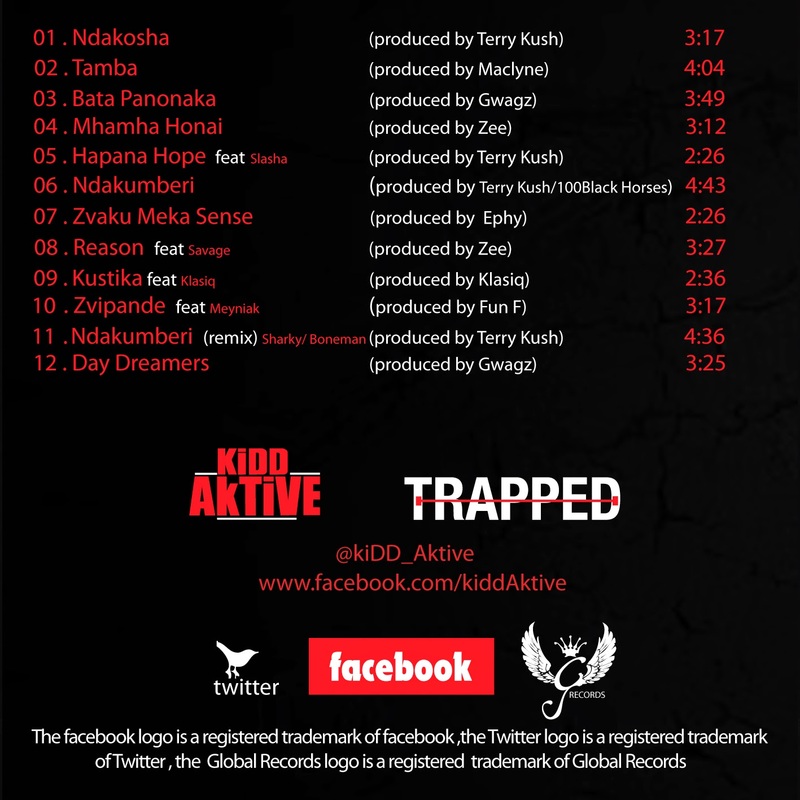 Ndakosha serves as the intro the album, as Aktive makes a bold statement echoing the arrival of a new player in the Zim Hip-Hop circles, with a beat reminiscent of the likes of Young Jeezy, Rick Ross or 2 Chainz. The first single serves as the second track. You can find the review here. With a title that loosely translates to “Touch the tasty part” this has to be the most controversial track of the album. I don’t see this one being played on the national airwaves lol. The title is self-explanatory, with Aktive getting help from an uncredited seductress on the hook. A party track that is sure to get most clubs pumping. One of my favourites on the album, with a very infectious hook. Why is it one of my favourites? The hook and the beat. Tuuuuuuurn up. From the title, you probably guessed the now-popular phrase about the Sunshine City, where people don’t sleep. The intro is done by Slasha, emphasizing the relationship between Zim Hip-Hop and it’s cousin Zim Dancehall. This sounds more like an interlude than an actual track, or maybe Aktive just wanted you to hear the part, “I’m the king of Trap, Isa crown mumusoro”. The king of Trap wants his crown. Most may remember this track as part of the BigShots’ Summer’s Ours compilation album. “I’m the chosen one, zvakumeka sense” proclaims KiDD Aktive halfway through the album> apparently meaning that from what you’ve heard so far he is the chosen one. An enjoyable but short track , with a shoutout ot the late Amelia. This track makes you forget for a moment that you’re listening to a Kidd Aktive album as the tempo mellows down. Fellow Tipei Maoko collaborator aand labelmate Savage goes in first to give a stellar verse and you might be tempted to think that this is a Savage track. Aktive goes in second but he sounds a bit out-of-place here, my thoughts….. I like how this track is ambiguous in its context. Kustika can be caused by a number of factors: drugs, girl problems, life in general. Producer Klasiq makes a surprise appearance on this one as he laced the second verse. Not bad for someone who’s used to sitting on the opposite side of the booth. This could easily be the best track of the album. Cudos to Fun F for the dope soundtrack to a tale that personifies Murphy’s Law. Meyniak, also a G Records signee blessed the track with a short but emotional chorus. All good things do come to an end…. I prefer remixes to be better than the original. I think that’s the essence of making remixes anyway. Most remixes, as of late tend to be just alternative versions of their original tracks and this one is no exception. What do I mean by alternative versions, well nothing is changed much, except for the verses, the beat stays the same, song structure stays the same (blah blah blah). 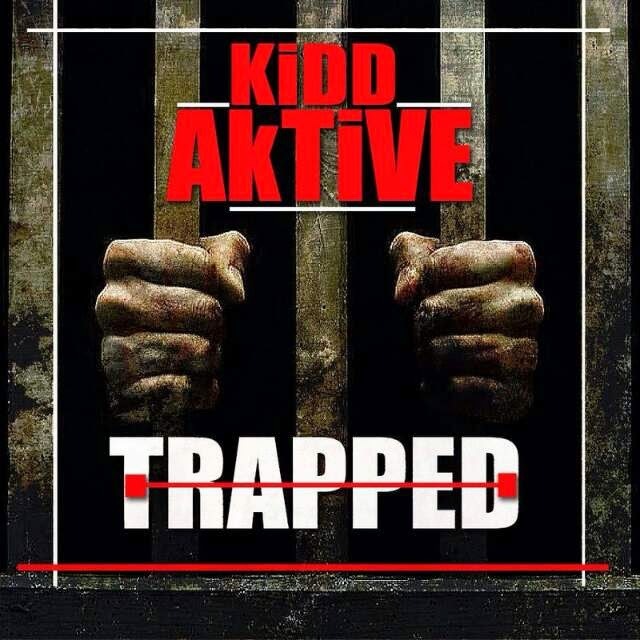 Kidd Aktive chose to trade bars with labelmate Sharky and Rehab signee Boneman. This track feels out of place on the album as an unnecessary rehash. The final song of the album sounds like a lamentation at the current state of Zim Hip-Hop, with a lot of people claiming to be the best, hence the title, “Day Dreamers”. Put your money where your mouth is, he seems to be saying. Some might get offended and see this as a subliminal diss track but everyone to his own. Fans of the uptempo Hip-Hop known as Trap will be right at home with one. This is what I would like to call Turn Up Music, a soundtrack to a weekend out on the town with the gang. For the Hip-Hop stans, this release may fall short as the “required criteria” may be missing (i.e. triple ententres, multi-pattern rhyme patterns). In my opinion the strength of Turn Up Music lies in the beat and flow, hook and delivery, with little emphasis on the content so this album is mostly spot on on that. The album is currently available at G Records for $3. Contact +263775216646 or visit St. Andrew’s House Cnr. Samora Machel Avenue & Leopold Takawira Street. I hope to see it on iTunes soon so that the world can also get a chance to hear it.